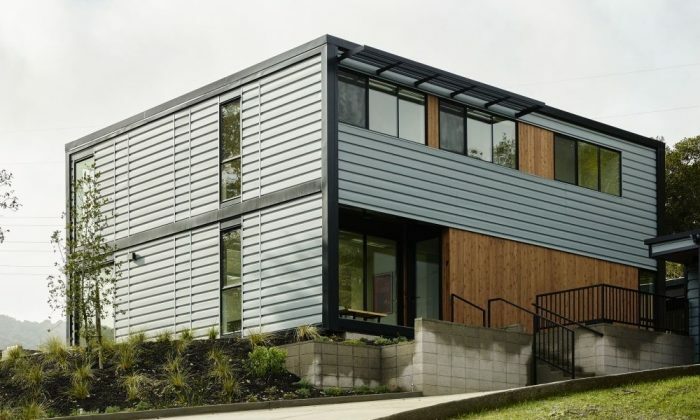 The Connect 10 prefab home model from Connect Homes is their largest offering. 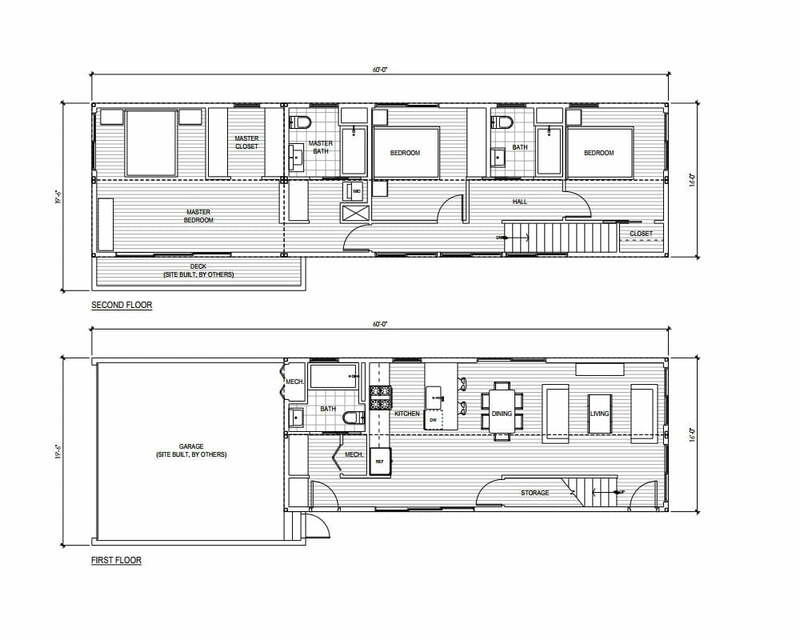 Made up of 10 total 8’x40′ Connect modules configured as two levels of 5 modules, the home offers 3,200 sq ft of living space with a 40′ x 40′ ground dimension. The home offers open concept living space with a shared dining, living and kitchen area. The living area also features a double height ceiling with the above second floor being open to the below space. Large windows wrap the home and corner the living room offering abundant natural light and warmth. The second level features a very large master bedroom with walk-in closet and attached master bath and three additional bedroom spaces, a linen closet and a second full bath.